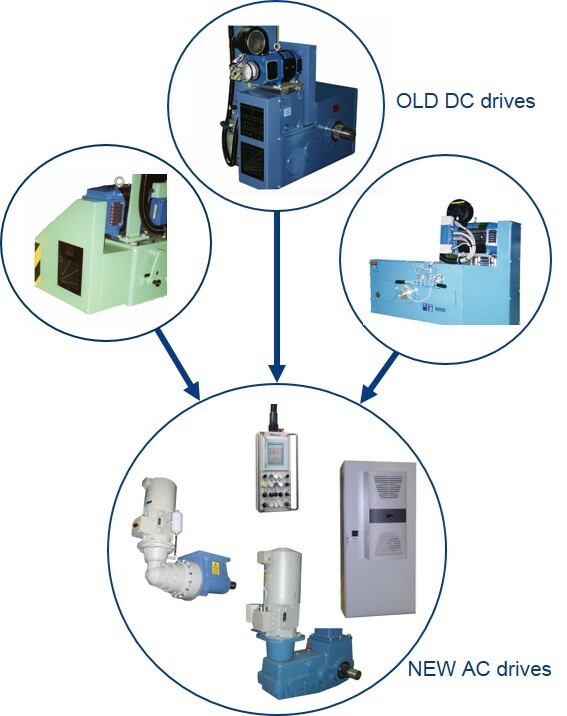 This upgrade package will help you secure reliable production by replacing the obsolete PLC control unit, drives and motors for winding and traversing, and gear box for winding with modern technology. Future spare part supply and technical support for the quipment is ensured. By replacing the obsolete or old component some additional, improved functions can be added to equipment to increase the equipment performance. With this Pay-off and Take-up upgrade package we have seen equipment availability increase notably once the obsolete components are replaced by state-of-the technology. The Maillefer upgrade package includes a new control cabinet, operating panel and in some cases a motor and gear box replacement kit with all necessary interconnection cables.